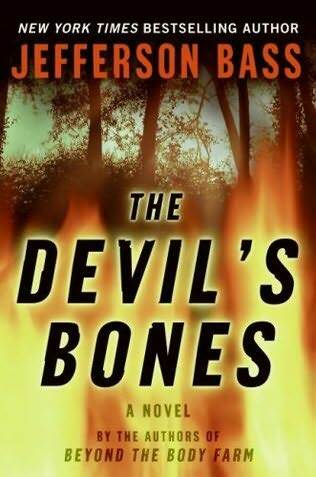 “The Devil’s Bones” is a novel written by team Jefferson Bass, which consists of Dr. Bill Bass, founder of The Body Farm, and journalist Jon Jefferson. This fictional piece follows the life of forensic anthropologist Bill Brockton, a sort of Sherlock Holmes of the forensic world, as he copes with a painful past while trying to keep his mind occupied with his job. The problem with this book is that it focuses on too many things at once, and not enough on the crucial bits. Brockton starts off by conducting a dangerous experiment in which he burns two cadavers, each inside a vehicle, in order to obtain data on the remains for use in an actual case where a woman was found burned in her vehicle. Because foul play was suspected in the case, his data on the two cadavers could prove useful in determining if the potential murder victim had truly perished in the flames, or if her body had been placed in the vehicle for incineration after she had died. Shortly after his experiment, Brockton finds out that Garland Hamilton, a rival of his who murdered Brockton’s girlfriend and nearly succeeded in framing him for it, has escaped from prison. Not long after that, the lawyer who successfully defended Brockton in the case approaches him with a personal request: to examine the cremated remains of his deceased aunt on the basis that the remains do not appear normal. The writing shines when Brockton is narrating, describing his surroundings, his emotional reflections of the past, and the forensic evidence in the cases at hand. He gets into great detail, and you can visualize what he’s talking about, or empathize with some of his feelings. It does help if you have a little knowledge in anatomy and bone structure, but luckily the back of the book contains three bone charts. However, when it comes to dialogue, I couldn’t help but feel like I was reading a poorly scripted sitcom. Conversations felt forced, like they were trying too hard to be witty and casual. I did keep in mind that the characters are in Tennessee, and that perhaps people in the South really do throw out punch line after punchline. Regardless, it got annoying pretty quickly, and put an unfortunate damper on the authenticity and realism of this work. Ultimately, the book falls short on what the synopsis in the inside cover claims to be “a deadly game of cat and mouse, played for the ultimate stakes: Brockton’s own life.”. Most of the book is spent focused on his case with the suspicious remains, and there are occasional snippets in which the murder case he was helping with comes up. What of Garland Hamilton? The part of the story that would be the most exciting gets the least amount of attention. Brockton tries to keep himself busy despite the occassional flashback of the murdered body of his lover or of interactions with Hamilton. That is the extent of the “fear” you get. In reality, at no point throughout the book do you really get the impression that Brockton’s life is in constant danger, because quite frankly, Hamilton’s presence is hardly felt. Even at the predictable and weak climax, Hamilton didn’t seem very threatening and felt like he was just tossed in there as a means to get the story over with. It’s a shame that the book turned out the way it did. It has interesting content, some of the writing is clever, and Brockton‘s character doesn’t entirely lack in charisma. I wanted to like the story, but I found that I just couldn’t. If the book didn’t try too hard to incorporate three separate storylines within 309 pages, and had better structure, this could have made for a great thriller. As it stands, the novel is regrettably mediocre at best. I’m just reading a new book by Melvin Harter called “Some Kind of Angel”. It also deals in part with forensics and also home-grown terrorism and the weapons they use. It’s a slick thriller from a guy who used to work in forensics and so far it’s got me well and truly engrossed. Would love to read what you think of it.